With the new year approaching, many state legislatures will convene to consider thousands of potential new laws. IDF will continue its state policy work during the upcoming legislative sessions by focusing on efforts in multiple states addressing barriers to medication access, including Iowa, Massachusetts, Michigan, Nevada, New Jersey, Ohio, Oregon and Pennsylvania. IDF Walk for PI 2017: Thank You! As the year ends, so does the IDF Walk for PI 2017 season. This year’s walks were successful and brought together our IDF community, and we owe it all to you: our walkers, donors, volunteers, sponsors and all who helped support the walks. Your efforts allow IDF to keep taking steps forward towards a better future for the PI community. Read more about IDF Walk for PI 2017: Thank You! IDF has an exciting research project that developed from discussions in the IDF PI CONNECT Research Forum and IDF Friends. Many individuals with PI report having a lower than normal average body temperature. As a result, when they do have signs of an infection, frequently their temperature does not rise to 100.4°F, the threshold upon which doctors begin to prescribe antibiotics. If this occurs, patients who have infections may not receive critical antibiotics due to missed signs of fever. Question: I have Specific Antibody Deficiency (SAD) and am concerned that I will get the flu despite getting vaccinated. If I do get the flu am I able to take Tamiflu? The CIIC (Consortium of Independent Immunology Clinics) is currently conducting an IVIG study for a 12-month period. They are looking to enroll children ages 2-16 for the study. Read more about Interested in Participating in an IVIG Study? The Immune Deficiency Foundation, in cooperation with the Center for Biologics Evaluation and Research (CBER) of the Food and Drug Administration (FDA), the Plasma Protein Therapeutics Association (PPTA), and the National Institute of Allergy and Infectious Diseases (NIAID), participated in the Workshop on Immune Globulin Potency in the 21st Century, November 8-9, 2017. 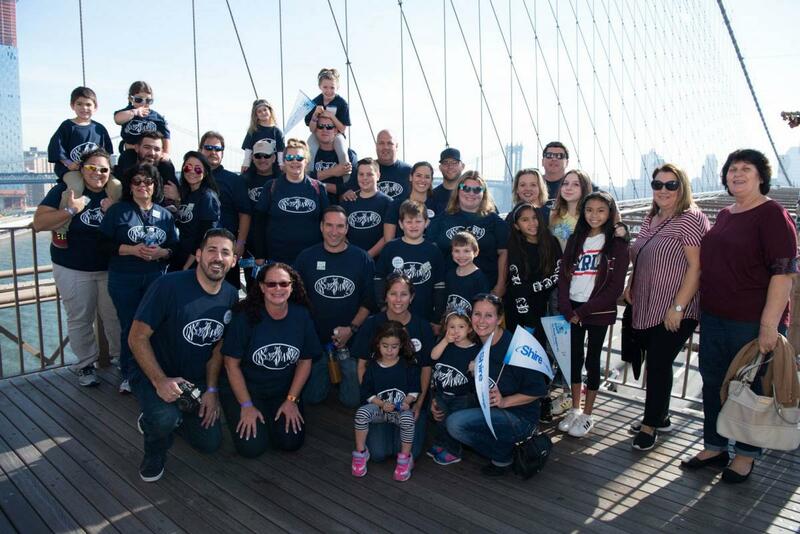 Although Nefar Moran is new to the primary immunodeficiency (PI) community, her experience participating in IDF Walk for Primary Immunodeficiency Boston has been extremely rewarding, and she has gone above and beyond to raise funds for the Immune Deficiency Foundation (IDF). This past walk season, Nefar was a member of Team Shire, led by Team Captain Kate Fladhammer. Nefar was inspired by Kate, who was diagnosed with primary immunodeficiency disease (PI) at a young age and has been an active member of the community for many years. What Does the Tax Bill Mean for the Primary Immunodeficiency Community? The 2017 tax bill that has been in the news recently is nearing enactment as the House of Representatives and the Senate work to reconcile the differences between their versions of the bill through a conference committee. Once the conference committee reconciles the language, it will be voted on and sent to the president for his signature. The two versions of the bill include a number of provisions that, if passed, will impact the primary immunodeficiency (PI) community. Read more about What Does the Tax Bill Mean for the Primary Immunodeficiency Community? The 2017 IDF Walk for PI season has officially come to an end, and we couldn’t have done it without you! To all our participants and sponsors, we’d like to thank you for coming together and taking strides towards a better future for those living with PI. Calling All IDF Volunteers: Have You Submitted Your Volunteer Service Hours? 2017 is coming to an end and it’s time for us to tally up the hours you’ve donated this year. If you have visited a plasma center, reached out to your local legislator, spoken to a healthcare provider, or provided other volunteer services to IDF – we want you to tell us all about it! Our IDF Volunteers are asked to submit service hours for the important work they have done within the IDF community over the course of the year. The information we gather from your reports is used for grant applications and annual reporting for the IDF Volunteer Network. Read more about Calling All IDF Volunteers: Have You Submitted Your Volunteer Service Hours?